Neurosurgeons specialize in the nervous system, i.e. the brain and spinal cord. They commonly perform operations for brain tumours, brain haemorrhage, compression of the spinal cord or nerve roots (e.g. herniated disc and sciatica), and compression of peripheral nerves (e.g. carpal tunnel syndrome). Dr Lopez is a British-trained Neurosurgeon. Spanish title of Specialist in Neurosurgery: 2000. Licensee in Medicine & Surgery. Córdoba Medical School: 1990. Image-guided awake tumour resection with functional cortical mapping. Consultant Neurosurgeon (l.t.). King’s College Hospital, London. 02/2004 – 08/2005. Consultant Neurosurgeon (l.t.). Great Ormond Street Hospital, London. 11/2003 – 01/2004. Consultant Neurosurgeon (l.t.). St. Bartholomew’s & The Royal London Hospitals. 11/2002 – 10/2003. North Thames Deanery Higher Surgical Training Programme in Neurosurgery. 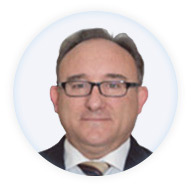 Second Opinion Expert in Neurosurgery for the “Servicio de Protocolos Asistenciales” of the “Servicio Andaluz de Salud”. Member of the Medical Advisory Board of the UK Trigeminal Neuralgia Association (2003 to 2005).